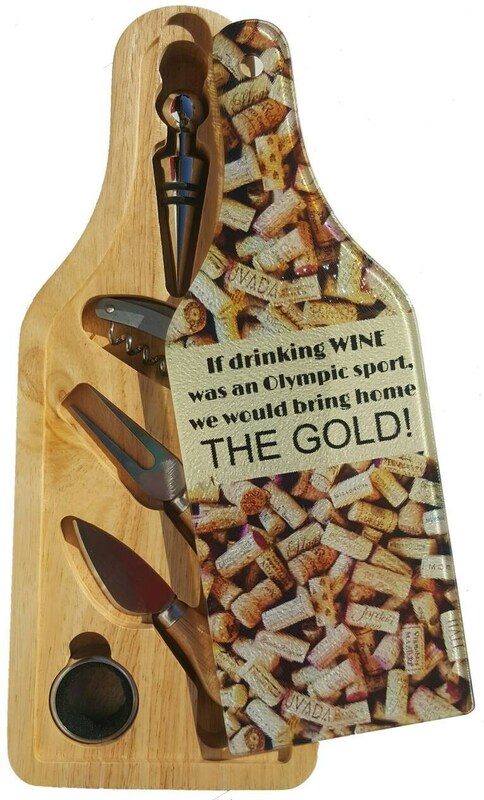 This unique cutting board gift set makes the perfect cheese tray for dinner parties or an impressive gift for the wine lover in your life! 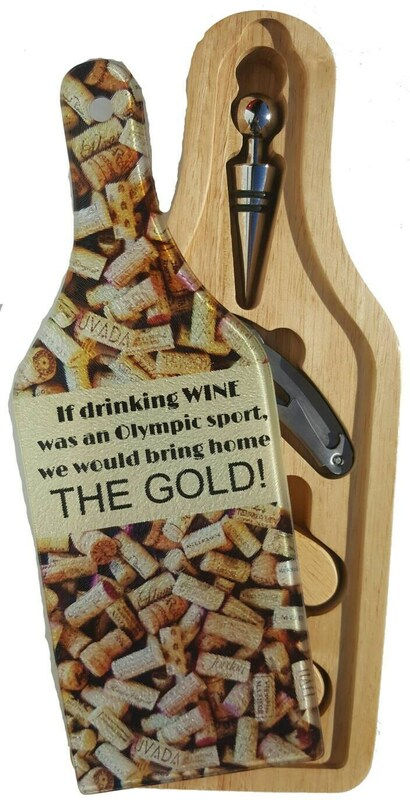 Take it to a housewarming party, add it to your wine or bar counter, or keep one on hand to give as a hostess gift or surprise your favorite wine-drinking buddy. The glass cutting board features an original design by Three Dames Dreamin'. The result is a beautiful and one-of-a-kind gift set that will make a lasting impression. This item is custom made for you and ready to ship from my studio via USPS Priority Mail Insured in 1-2 weeks, usually within a couple days. **Please note, this set weighs approximately 3.5 pounds. 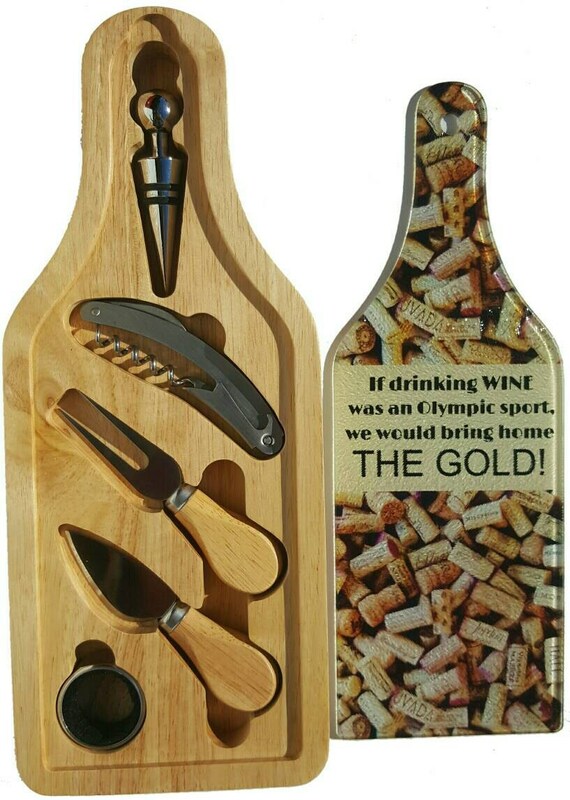 The wine shaped cutting board rests in a recessed area on the top of the wooden accessory case forming a lid. It does not fasten in place. The gift set has 4 rubber feet also.